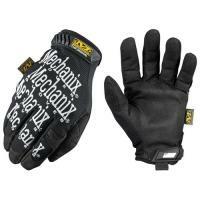 With over 20 years since its debut on the tracks of the Daytona 500, no glove can compare to Mechanix Wear's Original®. Widely used, tested, and proven on the field as a leader in multi-functional protection, the Original® continues to impress. Crafted from a blend of durable synthetic leather and Spandex, you're guaranteed form-fitted hand protection no matter what the job calls for. For improved durability, panels are reinforced and the seamless single layer palm feature accounts for maximum dexterity. Thermal Plastic Rubber (TPR) hook and loop closures provide a secure fit around your wrist. With a plethora of utility options, there is no denying why The Original® is considered the most popular and most used work wear glove.